In response to the leaked memo that revealed a federal plan to alter data collection on a national scale in an effort to erase the Transgender community, we are gathering in civil protest. Please join us on Sunday, October 28th from 2:00p-3:00p at OUTMemphis as we stand in solidarity and pool our collective power, recommitting ourselves to what is sure to be a hard fight for rights and safety in the coming months. Speakers will discuss the national and local laws and policies that harm Transgender people in Memphis, Tennessee, and the United States and what we can do about them! 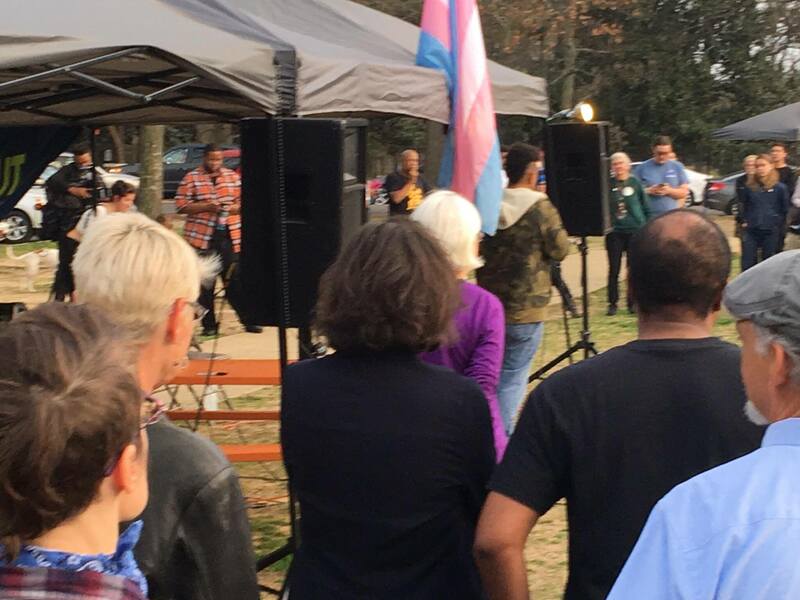 For more information please contact Kayla Gore, Transgender Services Specialist at OUTMemphis, check out the event on facebook, and read the press release below. OUTMEMPHIS STATEMENT REGARDING RECENTLY LEAKED ANTI-TRANS MEMORANDUM FROM THE TRUMP ADMINISTRATATION. 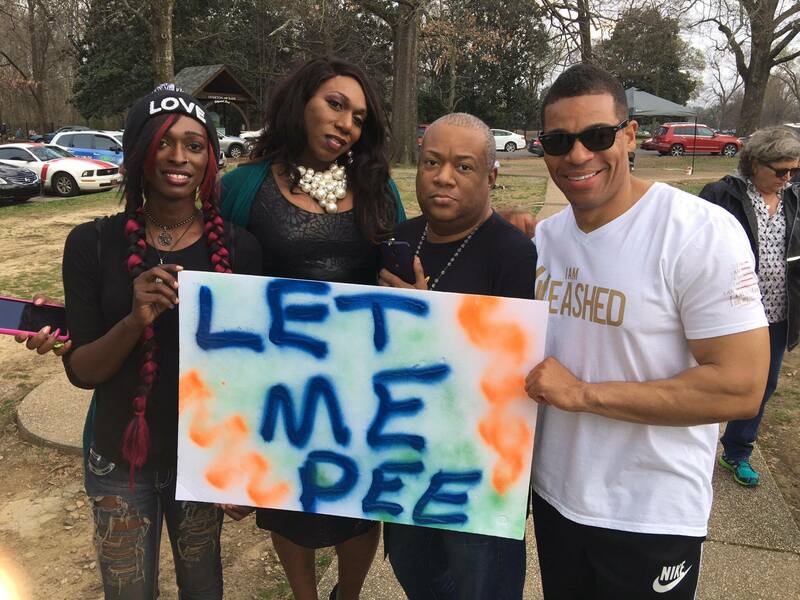 OUTMemphis is the LGBTQ+ Community Center of the Mid-South and we stand in solidarity with the Transgender and Gender Non Conforming Community. As many by now have heard news of the Memo from the current administration that will aim to target and alienate people of trans and intersex experience. This policy change will hurt not only the Transgender community but sets a precedent that has the potential to hurt all types of marginalized people. Erasing the diversity that exists in the United States by deliberately changing how national programs collect data does not make our nation smarter and more united; rather it leaves us ignorant, divided, and vulnerable. By many accounts, living as a Transgender person in America is not easy. Already this year at least 23 Transgender people have been killed because they were Transgender, and Transgender people face overwhelming discrimination in public spaces, medical care settings, educational institutions, in the workforce, and by the criminal justice system. Erasing the data that demonstrates these injustices does not put us, as a society, in a better position to solve them. Instead it enables people in power to ignore the injustice by pretending that Transgender Americans do not exist. This erasure is a violent act. We are asking the citizens, elected officials, allies, Transgender and Gender Non-Conforming people to stand with the LGBTQ community and SAY NO TO THE MEMO! Join us on Sunday October 28, 2018 at 2pm at OUTMemphis located at 892 South Cooper St. We will have local Transgender leaders speak about the impact of this memo. Soon the public will be able comment on this proposal, and when that time comes, we ask you to stand with the Transgender community. As soon as instructions for public comments are released, OUTMemphis will share them widely. Together we CAN make a difference. OUR MISSION: OUTMemphis empowers, connects, educates and advocates for the LGBTQ community of the Mid-South. OUR VISION: LGBTQ individuals live in a world where everyone has equal rights, and is safe, respected and celebrated.